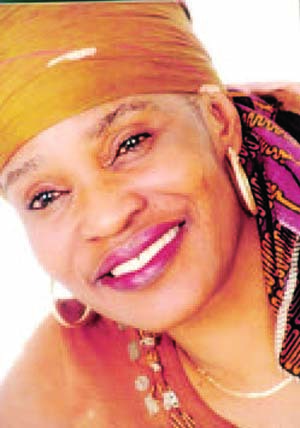 Queen of Samba music, Stella Monye, has not been quite as visible on the entertainment scene as she used to be. She was last seen in public in July when she threw a party – she called it ‘Old School Party’ – in memory of American pop music star, Prince (Rogers Nelson), who died on April 21 at the age of 57. The party, held on July 30 somewhere in Ikeja, Lagos and attended by many celebrities, was meant to honour Prince for his contributions to the development of women, especially in the global entertainment industry. “We celebrated Prince for uplifting women in the entertainment world. He was our number one advocate for women. Apart from the fact that his band was initially dominated by women, he wrote many songs for celebrity female artistes. For example, he wrote the song titled ‘Like a prayer’ for Madonna. 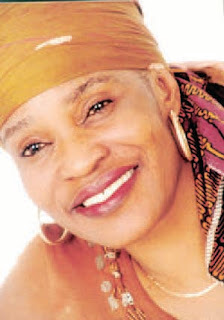 He also wrote songs for Chaka Khan, O’Connor and many other popular female singers,” Stella explains, in an interview with our correspondent. The singer has her finger in many pies already. One of the projects in the pipeline is a new music album – perhaps her first in a long time – a ‘Unity album’, which she plans to record soon alongside fuji star, Alabi Pasuma. The album, she says, is her own contribution to the quest for peace and unity in Nigeria. Like most Nigerians, she is worried about the security crisis that is currently rocking parts of the country, the threats posed by various violent groups and the implication on the society in general. The album in view, she says, aims at appealing to these militant groups to sheathe their swords and give peace a chance. The singer reveals that she will be appearing in her first Yoruba movie soon. The movie is titled Agbede Meji (or ‘Crossroads’) and the producer is Yomi Fabiyi. “I shall be going on location on December 1, 2016. Yomi invited me to be on the cast of the film,” she notes. Stella is also planning to host a talent hunt show and an exhibition of the products of her clothing line, House of Samba, in Lagos. She has christened it, ‘The Harvest of Unique Knowledge’ (or HUK Show Reloaded). According to her, the talent hunt will focus on talented female singers. “I want to discover and train new female singers every month. It is going to be a live show. Although I have tried it out before, I want to re-launch the show and see how it goes. “The show will be a fair mix between a reality TV show and pure entertainment. The winners will be rewarded instantly on stage. The contestants will be required to come out and sing. Whoever emerges winner will be given her prize right there,” she says. Previous articleDr. Chris Okafor to remarry in 2017…has a new Private Jet!